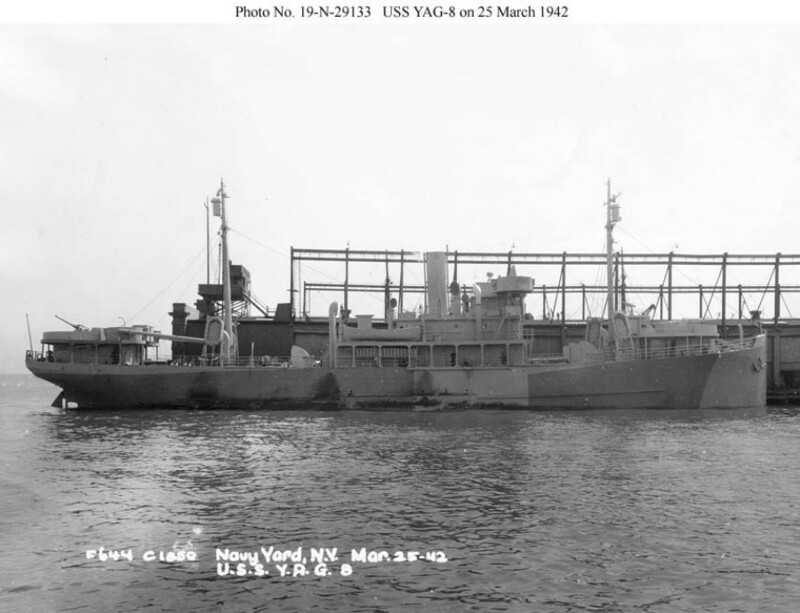 Converted for service as a weather patrol ship by Sullivan Drydock and Repair Corp., Brooklyn, N.Y.
113k YAG-8 moored pierside near the New York Navy Yard, 25 March 1942, one day before being placed in service. She has completed conversion to a guardship and appears to be carrying a 4"/50 gun at each end and two of the planned 20mm guns. 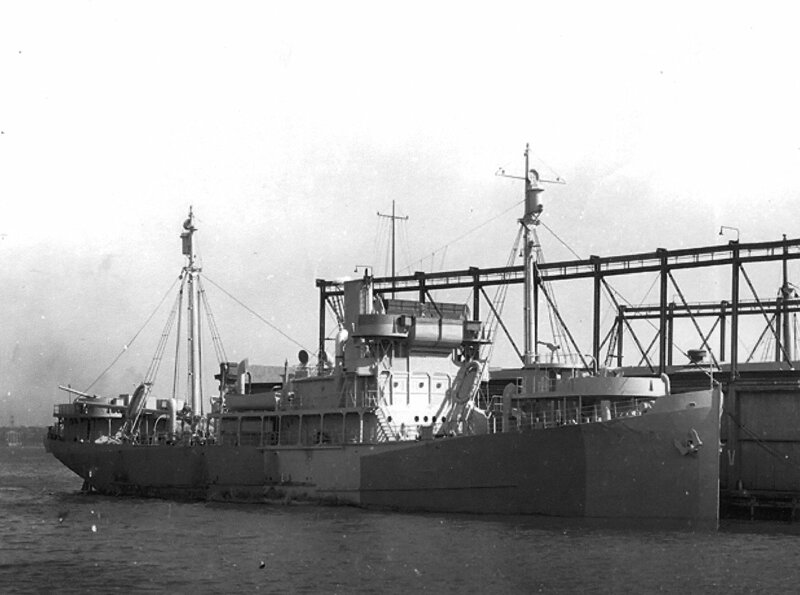 101k USS Manhasset (AG-47) moored pierside at Boston Navy Yard, 14 September 1943, after her reconfiguration as a weather ship and shortly before being transferred to the Coast Guard. Note that as a weather ship she retained her gun platforms fore and aft but her mainmast was replaced by a lighter mast stepped further forward. She lacked the weather balloon releasing tower of the Manasquan (AG-36) class, having been fitted with another type of balloon releasing facilities. 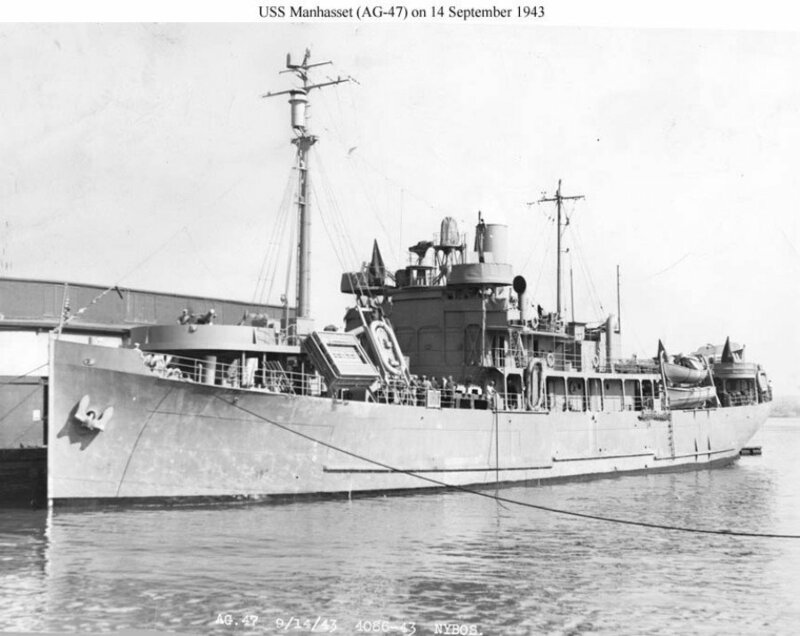 94k USS Manhasset (AG-49) in port, 14 September 1943. Like most weather ships, she was fitted with a weather balloon hangar deck aft. 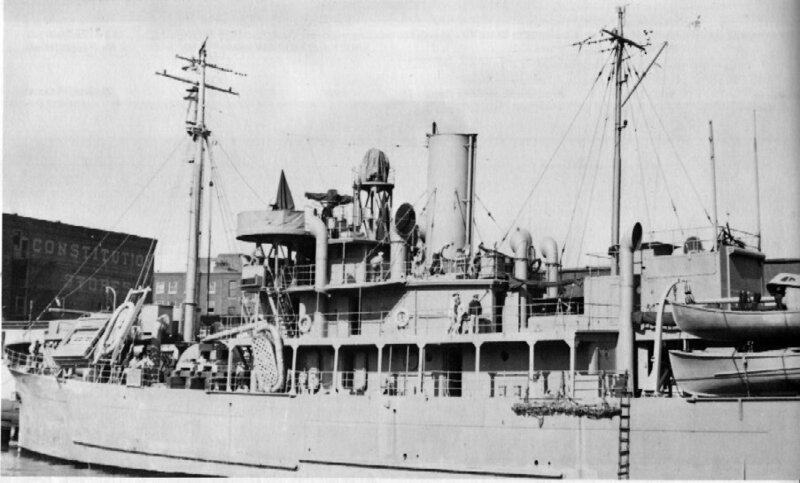 Manhasset provided weather service from 1942 to 1945 while assigned to 1st Naval District, at Boston, MA.